Forgive me for sounding like a stuck record. But news this week that two-thirds of UK motorists don’t know the legal minimum tyre tread depth leaves me with no choice. A new survey by TyreShopper.co.uk has found that 68% of UK motorsts have no clue about the legal requirement for car tyre tread depth. In case you’re not sure, the law requires your car’s tyres to have a minimum tread depth of 1.6mm across the central three quarters of the width of the tyre tread and around the complete circumference of the tyre. Back in 2012, Micheldever Tyre Services found that 53% of vehicles checked had at least one illegal tyre. A tyre check at a Shropshire primary school in 2013 found that 30% of parents were driving with at least one illegal tyre. UK government figures from 2016 show that tyre defects account for 27% of all MOT failures. It’s clear that as a nation, we have a serious case of ‘dont care-itis’ when it comes to the conditions of our cars’ tyres. Nor is our lack of interest restricted to this safety-critical component. The Driver and Vehicle Standards Agency claims that almost half of all faults found on MOTs could be avoided by carrying out regular, simple maintenance, like replacing light bulbs, wipers and checking tyres. Most drives also won’t be prepared if they get a puncture and need to change the wheel (something that’s more likely with illegally worn tyres). 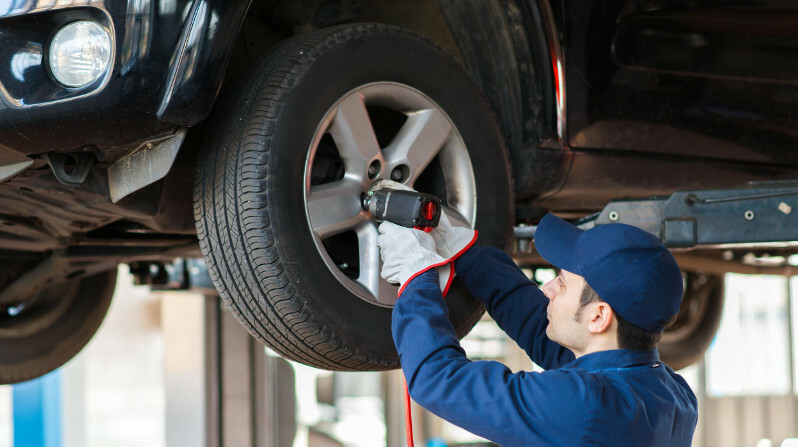 TyreShopper.co.uk found that 63% of drivers don’t carry the tools needed to change a wheel on their car. Funnily enough, back in 2013, Halfords Autocentres found that 65% of drivers couldn’t change a wheel. If you’d like to be one of the minority who do know, we do have a guide to changing a wheel — and also a guide to using a tyre repair kit, of the kind supplied with many new cars instead of a spare wheel.